When we sat down with Lindsay and Mark it quickly became clear that they had their hearts set on having custom letterpress wedding invitations, and we were super happy to help them out! 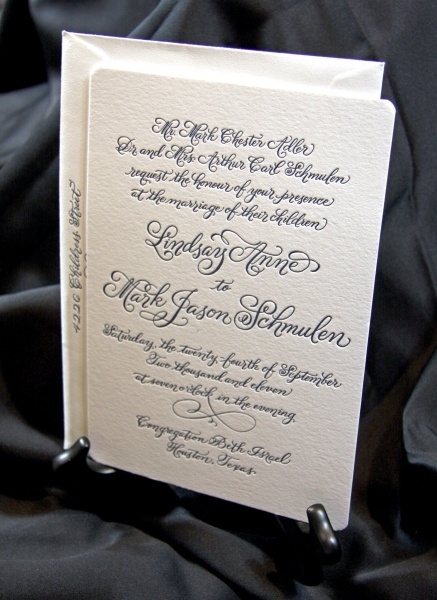 For the letterpress wedding invitations we decided to go with a dark navy blue ink on a pristine white background, the beautiful contrast between the type and the page is really eye catching, and really helps accentuate the extravagance of the type. To compliment the letterpress wedding invitations we also created matching letterpress reply cards as well as making a matching envelope. 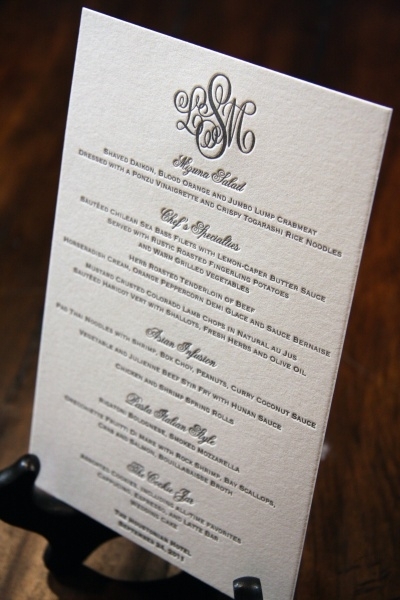 In addition, for the day of the wedding we created a beautiful menu to accommodate their stunning wedding reception. Check out how they turned out!